WHP’s ISO 13485 qualification gained last year now enables the company to market its manufacturing abilities to the medical-manufacturing supply chain. Innovation consultancy PDD, headquartered in London was tasked by its international client to invent and develop four design variants of a luer device – three straight and the other a Y shaped device. Drawings and CAD data were supplied to WHP together with a materials specification. The focus was finalising the design for multi cavity tooling suitable for future high volume production. 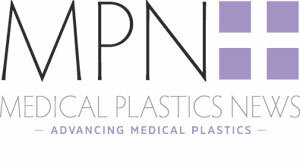 In partnership with both PDD and its client, WHP helped assess the novel and challenging design for manufacture and assembly (DfM&A), before building fully hardened pilot tooling and moulding the parts in a medical grade of polycarbonate for final validation studies. The company also assembled and packaged the finished components before shipping. Dave Eyles, WHP project manager said: "Tight tolerances were demanded for these intricate medical parts. We moulded, assembled and ultra-sonically welded (two mouldings and a silicone bellows insert) in-house within a Class 10,000 clean room for the customer". The company’s recent moves into the medical sector follow a long history in moulding for the automotive industries. In addition to the new ISO 13485 accreditation, the key standard for suppliers of medtech manufacturing services, WHP also holds ISO9001, ISO 14001, and TS 16949, the exacting standard specifically for the automotive industry.